Charles Ives' "Concord" Sonata has come to be recognized as perhaps the greatest of American piano works. Largely composed over the years 1911-1915, it contains some of the most radical experiments in harmony and rhythm of its time. Pianist John Kirkpatrick, long associated with the music of Ives, gave the work its historic first performance at New York's Town Hall on January 20, 1939. While working on the initial publication of the sonata in 1919, Ives wrote his Essays Before a Sonata, in which he discusses the genesis and content of the work. He described the sonata as his "impression of the spirit of transcendentalism that is associated in the minds of many with Concord, MA, of over a half century ago,...undertaken in impressionistic pictures of [Ralph Waldo] Emerson and [Henry David] Thoreau, a sketch of the Alcotts, and a Scherzo supposed to reflect a lighter quality which is often found in the fantastic side of [Nathaniel] Hawthorne." Ives' interest in American literature, pursued during his student days at Yale, was reawakened by his wife Harmony (whom he married in 1908) and became integral to the sonata. The monumental, dissonant beginning of the "Emerson" movement creates the impression of a vast struggle. The famous four-note motto from the opening of Beethoven's Fifth Symphony emerges (as it does elsewhere in the work), representing, according to Ives, "the Soul of humanity knocking at the door of the Divine mysteries." Thick, almost orchestral sonorities dominate this longest of the sonata's four movements. Toward the end a viola makes a ghostly two-measure appearance. 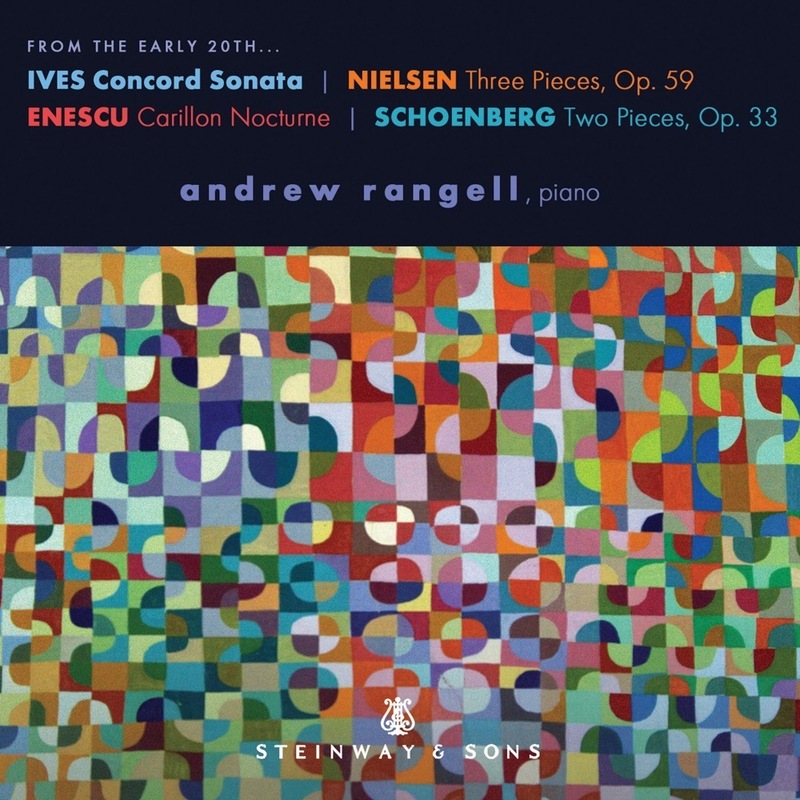 Ives never felt this movement to be entirely finished; numerous variants exist, and he later created a new work, Four Transcriptions from Emerson, which develops some of its ideas further. The "Hawthorne" movement acts as a scherzo, with wild flurries of notes, a couple of brief lyrical episodes, and hints of hymn tunes and a country band. At one point, Ives directs the pianist to use a 14 3/4" piece of wood to sound an enormous tone cluster. All this is meant to evoke what the composer called Hawthorne's "wilder, fantastical adventures into the half-childlike, half-fairylike phantasmal realms." The peaceful third movement, "The Alcotts," serves as a respite. Here Ives meditates on the calm of Concord's streets and the "trials and happiness of the family." Beethoven's Fifth reappears, this time transformed into a nostalgic tune, as Ives imagines one of the Alcotts playing on "the little old spinet-piano Sophia Thoreau gave to the Alcott children." For the closing "Thoreau" movement, Ives creates a portrait of "an autumn day of Indian summer at Walden." The constant use of the piano's pedals creates an almost impressionistic atmosphere as the slow, enigmatic music unfolds, only raising its voice on a couple of occasions. An ostinato bass line pervades much of the second half of the movement. Thoreau's instrument, the flute, appears briefly with a lyrical melody symbolizing "a mist heard over Walden Pond." The movement ends quietly.